Denis Murrell joined Maestri-Murrell in January of 2016 as a Sales and Leasing Executive. 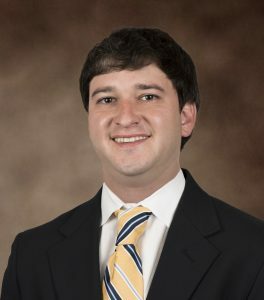 Mr. Murrell graduated with a Bachelor of Real Estate from the University of Georgia in May of 2012 and then went on to receive his Masters in Finance from Tulane University graduating in May of 2013. After school he then began working at CB&I as a Subcontract Administrator for the Humboldt Bay Power Plant Decommission job in Humboldt California and went on to work as the Assistant Project Manager for Northwest Demolition at the same project.